A funny thing happened during an unusually cold period in November. Eastern coal generation fell compared with the year before. Normally, falling temperatures would prompt power companies to fire up their coal plants. The experience sums up the industry's challenges. Even as coal prices rose and exports boomed last year, coal plant retirements flirted with all-time highs. About 5 percent of the U.S. coal fleet flicked offline in 2018, making it the second-highest year ever for coal plant retirements. The shutdowns defined the industry's year. President Trump tried and failed to subsidize faltering coal-burning facilities (Greenwire, Jan. 9, 2018). Utility coal consumption fell to a multidecade low. And power companies announced ambitious plans to close coal plants early and slash carbon emissions (Climatewire, Dec. 5, 2018). "I think one of the major stories is there seems to be a watershed moment for utilities and their thinking about the future," said Matt Preston, who tracks the coal industry at Wood Mackenzie, a consultancy. "It seems that the utilities have embraced a carbonless future and proposed drastic emissions reductions. That is a huge turnaround in thinking." The retirements are all the more notable given the Trump administration's attempt to reverse the industry's decline. The Department of Energy proposed subsidizing coal and nuclear plants that stored fuel on-site, only to see its plan shot down by the Federal Energy Regulatory Commission. EPA eliminated carbon-capture requirements for new coal plants, made it easier for power companies to upgrade old ones and relaxed carbon limits for existing coal facilities. Yet the shutdowns continued. Power companies closed some 14 gigawatts of coal capacity at 20 plants in 2018, a figure that does not include plants that were idled or switched to natural gas. U.S. coal consumption slumped to 691 million tons for the year, according to U.S. Energy Information Administration projections. That's the lowest since 1979. The retirements were driven by changing economics. A host of utilities said it's now cheaper to build wind or solar facilities than it is to run existing coal plants. "It provides a pretty clear signal of how risky it is to own a coal asset," said Mike O'Boyle, director of electricity policy at Energy Innovation, a think tank that advocates for a transition to clean energy. Coal plant retirements continued to be the main source of U.S. emission reductions. The coal units that closed in 2018 emitted nearly 66 million metric tons of carbon dioxide in 2017, according to an E&E News review of EPA figures. That's the equivalent of taking roughly 14 million cars off the road, or 1 percent of total U.S. energy-related emissions. Yet not all the news was bad for coal in 2018. 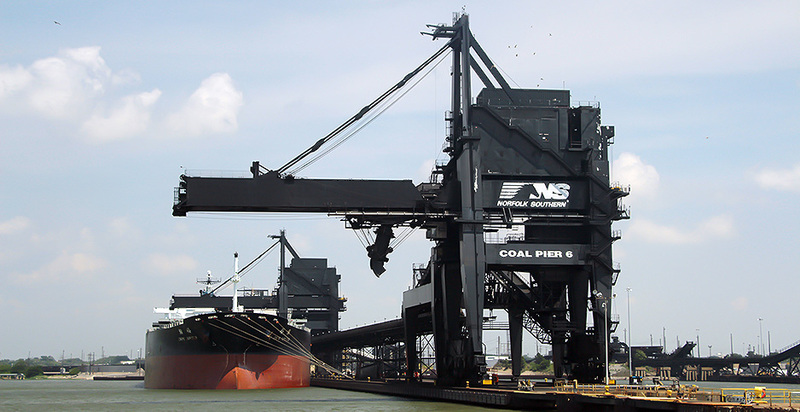 Exports are expected to total 110 million tons for the year, nearly double 2016 levels and nearing the record 125.7 million tons of coal shipped abroad in 2012. The surge has been aided by consumption in India and cutbacks in Chinese coal production. At home, rising exports helped rally coal prices. CSX coal prices were roughly $74 per ton in December, up from a summertime low of $58.15 per ton. That helped mitigate the effects of falling domestic consumption. "I would say export has been the big story supporting prices," said Joe Aldina, director of coal analytics at S&P Global Platts. "We saw gas prices flat or lower for much of the year, but at the same time we saw coal prices generally move higher on exports and on some producer discipline." Indeed, 2019 is likely to be a better year for America's coal miners. Exports will likely remain strong, and the domestic picture is improving. The cold November weather means utility stockpiles are running low. Another cold snap could push power companies into the market for coal. And EIA expects coal plant retirements to slow, with 4 GW of coal capacity set for the scrapheap. The Trump administration could also get the break it has been looking for. The appointment of Bernard McNamee, a former DOE staffer and vocal coal supporter, to FERC boosts DOE's attempts to prop up huffing and puffing coal facilities. Still, the damage that occurred in 2018 will be difficult to escape. In the PJM Interconnection, America's largest wholesale power market, not only did coal generation fall during the cold this fall, but natural gas generation increased, according to a recent report by Morningstar Inc. PJM encompasses a region running from Illinois to Maryland. The Morningstar analysts summed up the dynamic like this: "Conventional wisdom in PJM was that at times of high demand during the winter, coal generation would provide a backstop against more volatile natural gas prices. However, a decade of retirements in coal generation and mine shut-ins in Central Appalachia have shrunk the safety net coal plants used to provide."